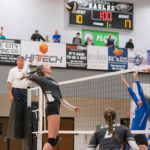 Harrison was not going to be denied by Lassiter for the second time in three days, and especially at the Cobb County Tournament, which has become the Lady Hoyas’ playground over the last three years. 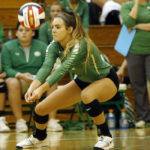 Having just lost a tight three-setter to Lassiter on Thursday in a non-area match, Harrison stepped up in the third set when the teams met again Saturday with the county title on the line and won its third straight championship with a 25-20, 20-25, 15-8 victory at Allatoona. 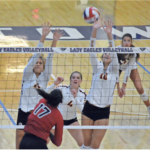 Lassiter’s offense was widespread, with Ella Muetterties totaling six kills and Genna Bochniak and Sara Newbold finishing with five each. 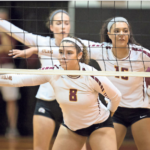 Claire Parsons added four kills for the Lady Trojans (9-3), while setters Regan Kitchens and Lily Kitchens combined for 21 assists.